Cash Access Mobile App! Learn more. SBLOC Estimator Tool - Find out how much your clients may be eligible to borrow against their investment portfolio with a Securities Backed Line of Credit. Adding the Securities-Backed Line of Credit (SBLOC) and Cash Access Account (CAA) services to the comprehensive list of SEI Investment products allows you to protect relationships with existing clients and attract new ones. The SBLOC supplies you with the ability to give your clients access to their funds while keeping their investment strategy in place at SEI the way you constructed it. This keeps assets under management for you and also leaves you with the freedom to continue trading within the restricted account as you see fit. This multifunctional line of credit ensures that your clients stay on track towards their financial goals, while offering them a flexible liquidity option. 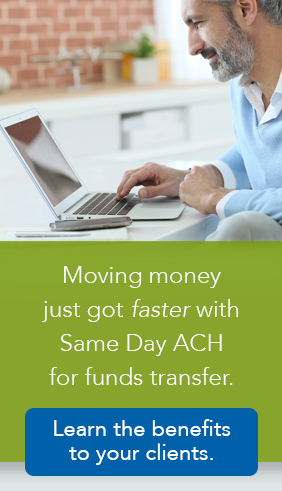 The CAA provides your clients with a robust banking service and also gives you the option to view their transactional activity and account information on both Bancorp’s and SEI’s websites. The CAA keeps your clients’ assets in a place where you can see them, enabling you to better understand their cash needs and discuss recommendations about their personal circumstances and goals. *The Bancorp Bank does not charge an application fee. State, local, and/or third-party fees may apply in some states. The SEI Visa® Card is issued by The Bancorp Bank pursuant to a license from Visa U.S.A. and may be used everywhere Visa debit cards are accepted.